In the second part of the article we will leave Tbilisi and go on a day trip to the ancient city Mtskheta, a UNESCO World Heritage Site. 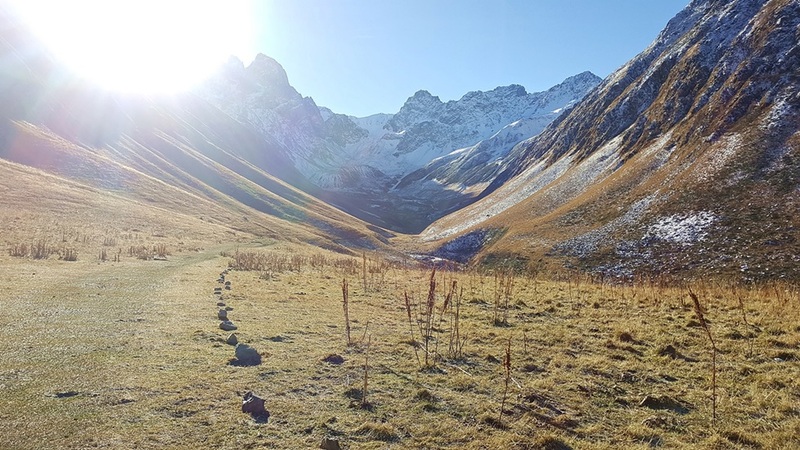 After that we will head up North into the heart of the Caucasus Mountains for some trekking around Stepantsminda and Juta. 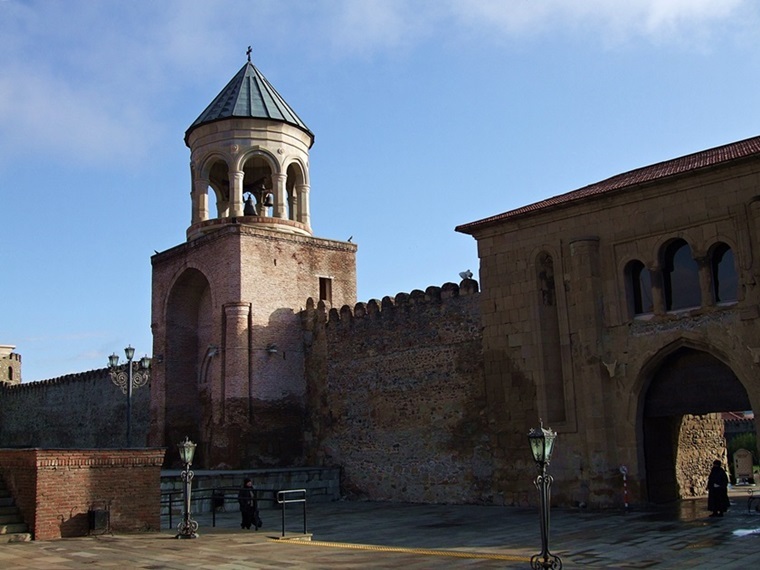 With its unique wealth of medieval monuments and religious architecture, Mtskheta is simply too beautiful and significant to be omitted from the traveler’s bucket list of Georgia. 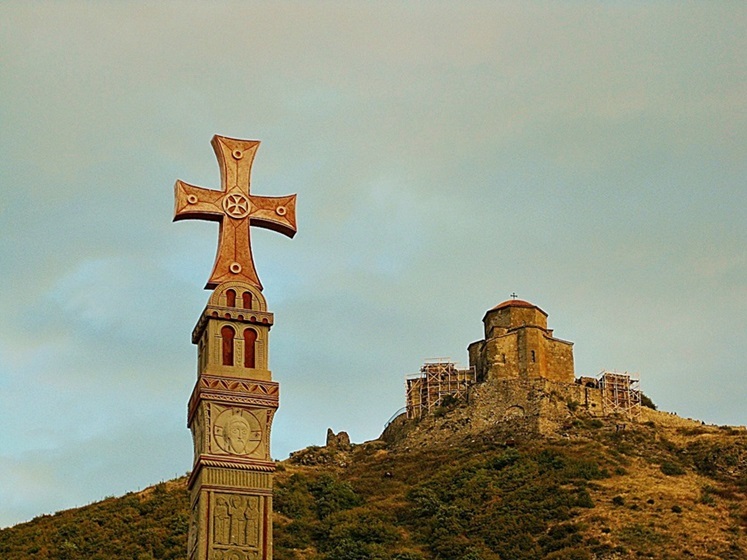 Located less than 20 kilometers north-west of Tbilisi at the confluence of the rivers Aragvi and Mtkvari, Mtskheta looks back over an ancient history that dates back to the 5th century before the birth of Christ. 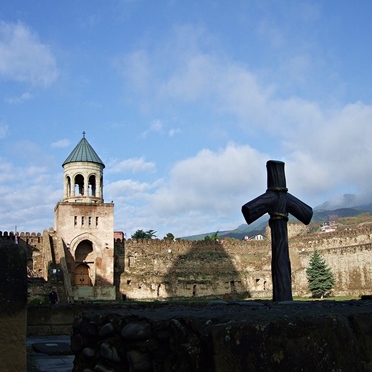 It has seen many dynasties rise and crumble into ashes and has played a vital role in the Christianization of the early East-Georgian Kingdom of Kartli, of which it was the capital between the 3rd century BC and the 5th century AD. 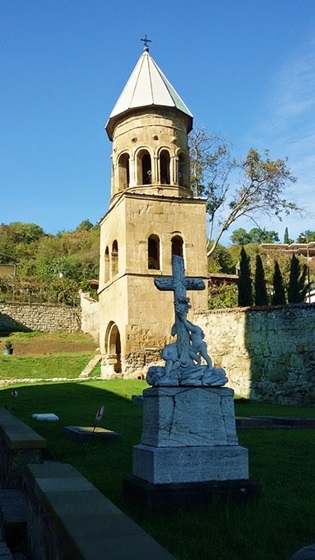 In particular the Cathedral of Svetitskhoveli, St. Nino’s Chapel and the magnificent Jvari Monastery bear testimony to the important role that the Orthodox Christian faith played in Georgia during Antiquity but also continues to play in modern days. Even today Mtskheta still serves as the headquarter of the Georgian Orthodox Church and it has been given the reverential name of Holy City just recently in 2014. If Rome is known as the Eternal City, it is certainly not wrong to call Mtskheta the Undying City as it has merely accumulated 200 years less of beautiful dust and ancient history. 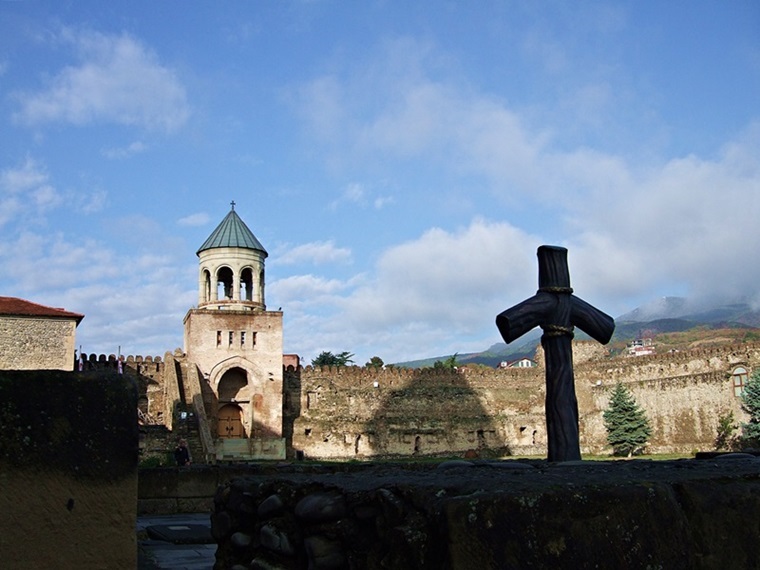 As Mtskheta truly is just within a stone’s throw of Tbilisi it is recommendable to keep your accommodation in Tbilisi and to go on a day trip to Mtskheta. 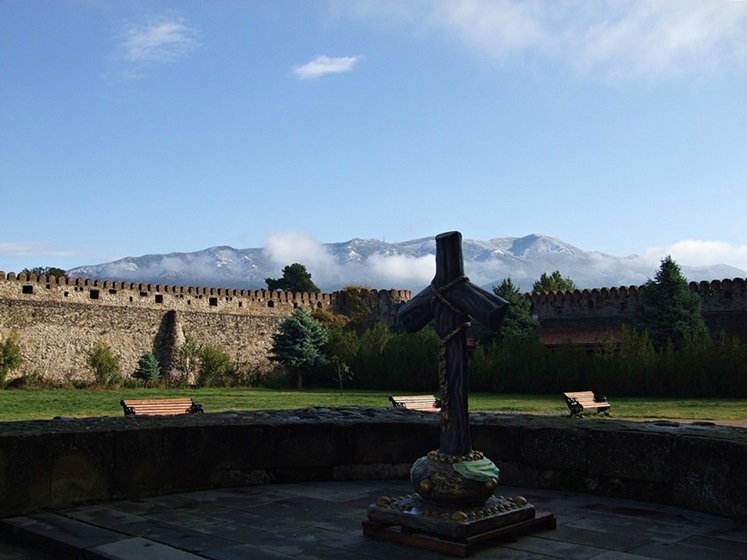 Considering that the ancient city is fairly small and easily accessible by foot (with the exception of the Jvari Monastery for which you will have to hail a taxi), a day will give you plenty of time to take in everything that Mtskheta has to offer. All public minibuses (marshrutkas) to Mtskheta leave from the Didube Bus Station. To get to Didube Station, take metro line 1 in the direction of Akhmeteli Theatre. Metro Line 1 leaves for example from Metro stop Liberty Square or Metro stop Rustaveli (among others). On exiting Didube Station, turn right and follow the long tunnel (and basically all the other people) until you reach the busy market area. Taxi drivers will approach you immediately when you reach the market and will try to persuade you that it will be better and cheaper if you go with them, but of course it’s not. Ignore them and continue straight ahead and keep to your left. The bus station is pretty confusing and unclear, but if you ask people for ‘marshrutka Mtskheta‘ you will be pointed to the right direction. Once you have found the right bus, you have to buy your ticket at the counter opposite to it. The price is 1 Lari one way (35 cents). For general orientation have a look at the map. The marshrutka will drive along Narekvavi Mtskheta Railway Station Street. Once you get off the marshrutka (the blue point B on the map), Svetitskhoveli Cathedral will be to your right. You still have to walk about 5 minutes. To get on a marshrutka back to Tbilisi, you have to walk back to Narekvavi Mtskheta Railway Station Street (you can wait at any point of the street; marked with a red line on the map), look out for the minibus and signal it to stop. Note that Narekvavi Mtskheta Railway Station Street has two separate lanes, so, of course, this time you want to go in the opposite direction (see map). There will be signs inside the windshield so check that the bus is actually going to Tbilisi (most of the buses do but not all of them). Right in the center of the old historic town of Mtskheta lies Svetitskhoveli Cathedral, a true masterpiece of Medieval religious architecture. While the cathedral was originally built around the 4th century, the current structure dates back ‘only’ to the 11th century. 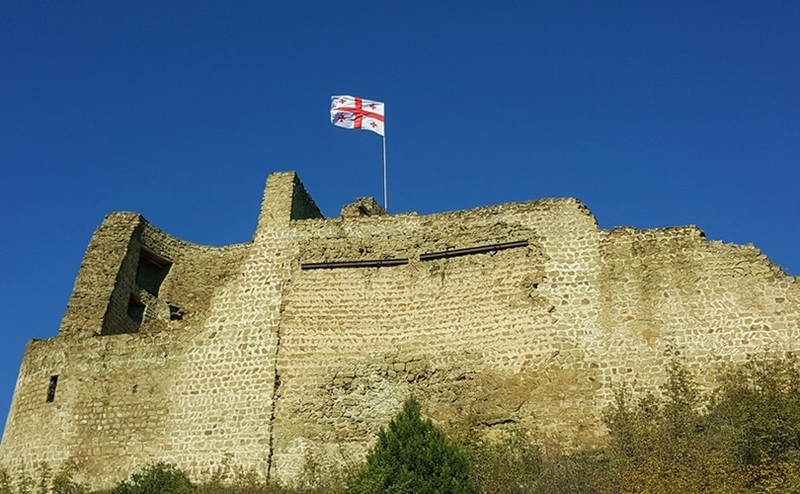 Since Mtskheta was of high strategic importance and served as an important trading post in the old times as part of the famous Silk Road, it was particularly vulnerable to attacks and the invasions of foreign forces. The Timurs, the Arabs, the Persians, the Soviets as well as earthquakes all at one point in time caused considerable damage to the Svetitskhoveli complex which made it necessary to rebuilt. Behind the gigantic Sameba Cathedral in Tbilisi, which you will already have seen during your stay there, Svetitskhoveli Cathedral represents the second largest religious building in all of Georgia. The entire complex is hauntingly beautiful. The holy grounds are encircled by monumental medieval walls whose pinnacles look just stunning against the backdrop of misty mountains and densely wooded slopes. The atmosphere is one of awe-stricken serenity and at every step you will stumble across the magical wonders of Christian-Orthodox icons, crucifixes, tombs and delicate frescoes. The grandest miracle of them all however is said to have taken place when the original cathedral was being built back in the 4th century. Georgian legend has it that a Georgian Jewish rabbi by the name of Elioz was in Jerusalem on the day of Jesus Christ’s crucifixion and was able to get a hold of Christ’s blood-soaked robe. On return to his native soil, he buried it where now Svetitskhoveli Cathedral towers high and where it is supposedly still buried to this day. It so happened then during the construction of the cathedral on the burial ground of Christ’s mantle in the 4th century that the central stone pillar was lifted up as if by an invisible hand and hovered in midair for an entire day and it is passed on that all the sick and deprived who were present were healed on this day. That is why the cathedral also bears the name of The Life Giving Pillar. Of course all legends raise a claim to absolute truth and should be taken literally 😉 which leads us to the rather unfortunate conundrum that there are two other Christian traditions which claim that Christ’s robe is buried instead in Trier, Germany and in Argenteuil, France respectively. Oh well … in any case it is a damn fine story and maybe if you bring your shovel, as well as your Indiana Jones attitude and you use your loaf which Christ tried to break you will be able to unearth the truth. The old town center of Mtskheta along the medieval walls of the Svetitskhoveli complex and beyond is rather unspectacular. It is mainly full of street vendors and commercial shops selling overpriced souvenirs and falderals, though it makes for a short enjoyable walkabout around town. If you would like to purchase some souvenirs however, you will be better off getting them in Tbilisi where you will find them to be much cheaper. HOWEVER, what you absolutely must try (and possibly buy) whilst in Mskheta are the Churchkhela, the Tklapi and the Chacha as they are among the best in the entire country. No less tasty are the traditional Georgian Tklapi, which look like leathery, rolled-up pirate treasure maps that come in many different colours. The treasure however has not to be found anymore but already is the flat pancake made of puréed fruit. Tklapis can be made of many different varieties of fruit like apricots, apples, mulberries, pears or figs. One of our favourites was a sour Tklapi made of an ancient plum variety that cannot be found anywhere else in the world, called Tkelami. Ask for it, it is also a great household remedy if you have a sore throat. 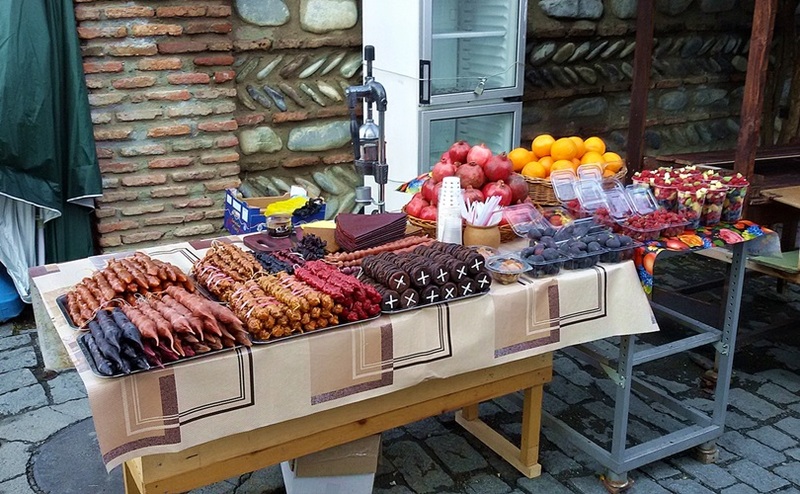 Last but not least you shouldn’t leave Mtskheta without having tried the local Chacha which again comes in a bunch of varieties. 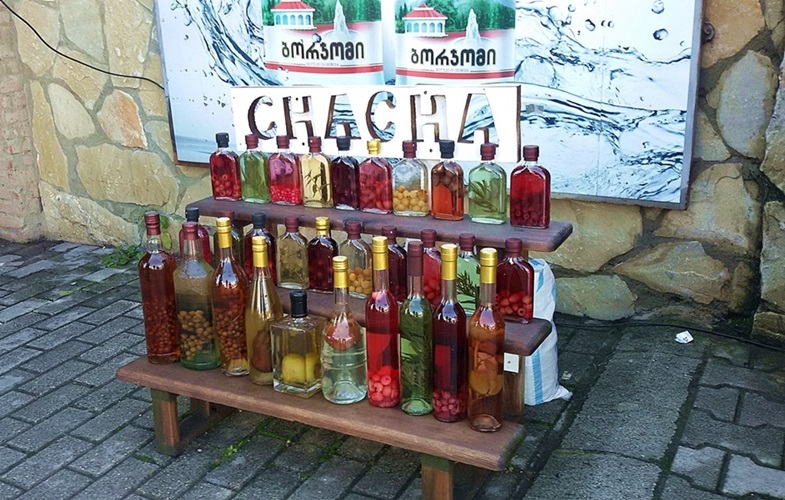 Chacha is a strong Georgian type of liquor comparable to the Italian grappa. It is made of grape residue (grape pomace) and is rather potent with an alcoholic strength of 40-65%. Particularly tasty are the Chachas that are infused with real herbs and fruit: tarragon, raspberries, pears … Take your pick! It’s all very, very good. A little further north-west of Svetitskhoveli Cathedral along the Narekvavi-Mtskheta-Railway-Station Street is the Samtavro Monastery complex. The site is of particular importance because it is here, at the small chapel that now bears the name St. Nino Chapel, where St. Nino allegedly lived and preached Christianity to the Georgian people. St. Nino, a pious woman from Constantinople, is also called the Enlightener of Georgia. According to Georgian lore she converted the ruling Georgian King Mirian III and his wife Queen Nana to Christianity by healing the queen of severe illness and by rescuing the king out of a desperate situation on a hunting trip. As a consequence of these miraculous happenings, King Mirian declared Christianity as the official state religion of Georgia in the year 327 A.D. The small St. Nino Chapel is naturally much older than the major Samtavro Transfiguration Church and dates back to the early 4th century – the time of St. Nino’s arrival. The main cathedral was only built in the 11th century and it is here that King Mirian and his wife Nana were buried. The romantic remains of Bebris Tsikhe fortress are just another 15 minute walk up the road from the Samtavro site. While there is not much to see, you will be rewarded for the short walk with a beautiful scenic view of Mtskheta and the river valley. 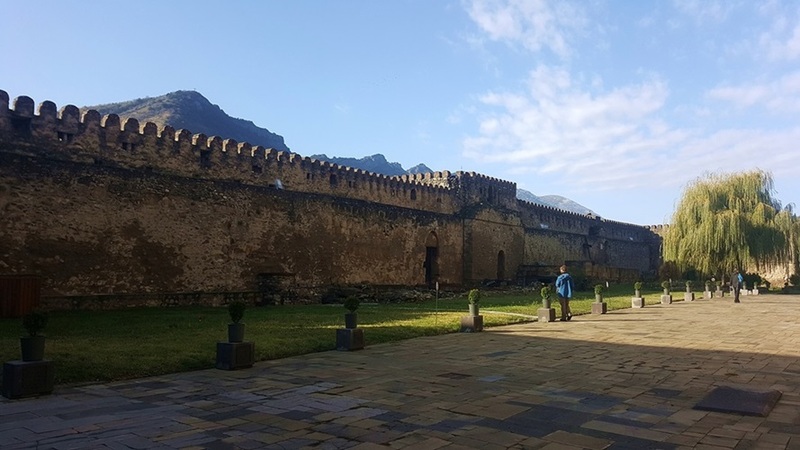 Jvari Monastery on the right bank of the river Mtkvari offers a darker, saturnine side to the glowing, holy refulgence of the rest of the UNESCO World Heritage Site of Mtskheta – which makes a visit there all the more intriguing. Flitting shadows on the ground, the skeletal outlines of medieval masonry, church bells that chillingly sound in the misty morning hours, rough, cave-like vaults, the wind howling through the cracks of centuries … Jvari Monastery would make for an outstanding movie shooting location. 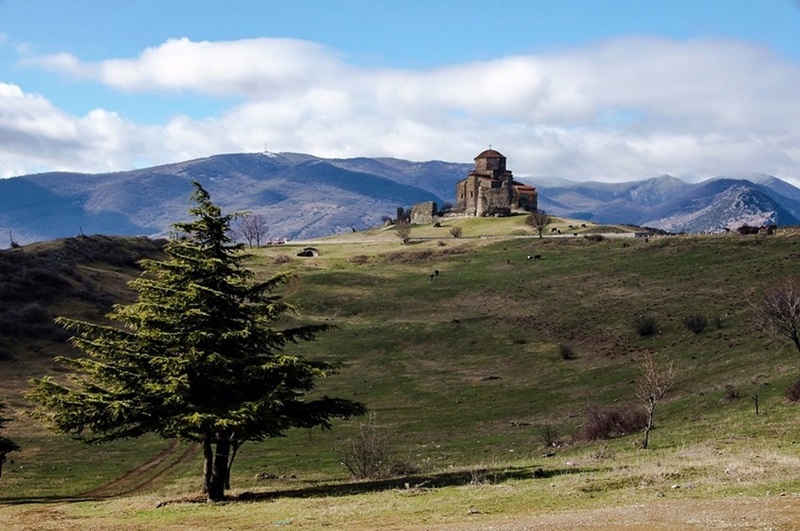 Situated on a rocky mountaintop east of Mtskheta, the 6th century monastery goes by the name of Monastery of the Holy Cross. 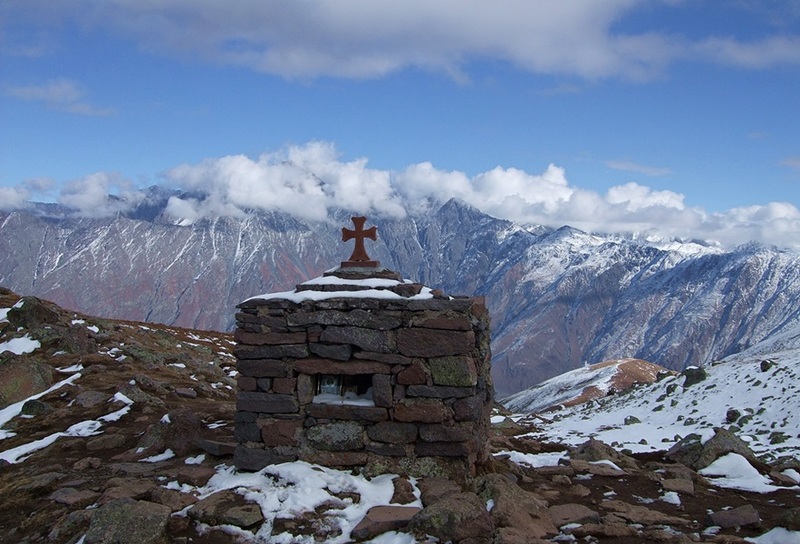 One of those many sacred Georgian legends has it that the venerated female Christian missionary St. Nino erected a large wooden cross at the location of a pagan place of worship on the peak of the mountain where now the monastery is standing. The cross served as a symbol for the triumph of the “enlightened” Christian philosophy over the “savage” lore of the pagans … and it is how the monastery attained its rather unimaginative name. To get to Jvari Monastery you will have to hire a cab at the town center. A round trip should cost you approximately 15 Lari; the cab driver will be willing to wait for you for about two hours. Common sense, of course, dictates that you only pay him at the end of the trip. If you find another couple of travelers who also want to go there, you will end up with a fairly cheap ride. Stepandtsminda is a sleepy little hamlet at the foot of Mount Kazbek, a dormant volcano and the third highest peak in Georgia at an elevation of 5047 metres. 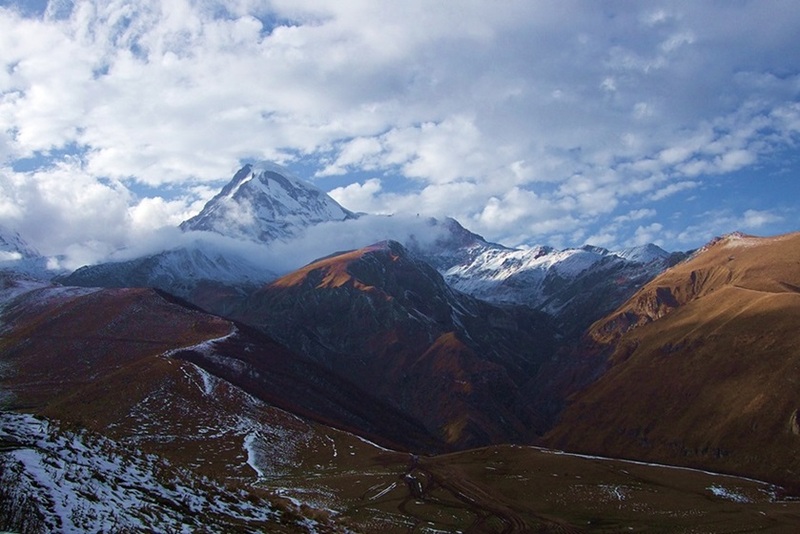 It is part of the Khokh Mountain Range which runs north of the major mountain range of the Greater Caucasus. The long and winding road to Stepantsminda/Kazbegi starts (again) at Didube Bus Station (read the ‘Mtskheta – Getting there’-section on how to get to Didube Station). As mentioned before, the bus station is extremely chaotic, so finding the right bus will take a little bit of searching. Ask people for marshrutka Kazbegi or marshrutka Stepantsminda or alternatively show them the name of Stepantsminda in Georgian characters: სტეფანწმინდა. Naturally, there will be a lot of taxi drivers who want to make some money off you. Ignore them if you hear the word taxi, walk a little further away and ask somebody else for the marshrutka to Kazbegi. 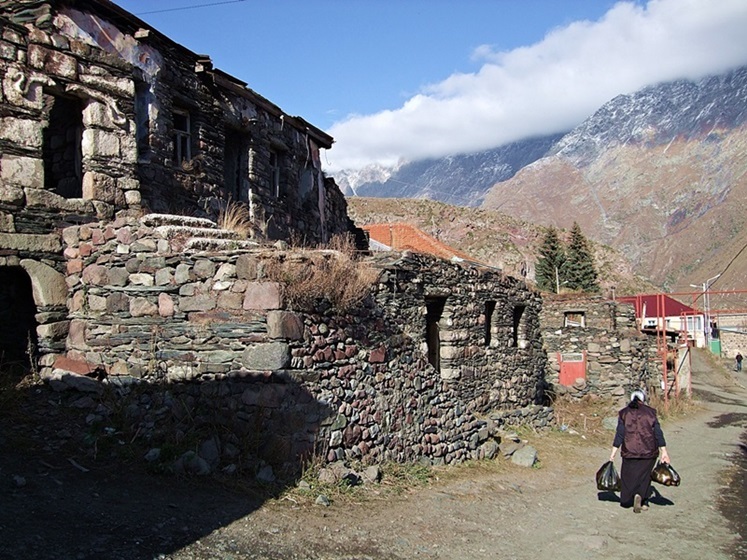 Marshrutkas leave for Kazbegi roughly every hour and the fare is 10 Lari one way. 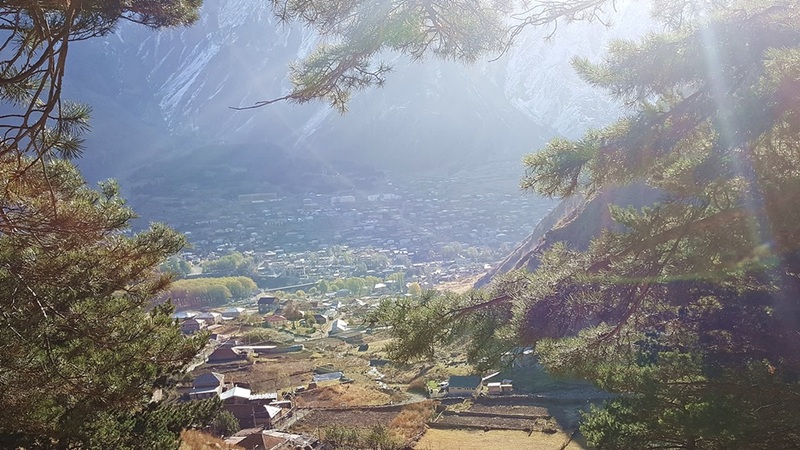 If you still would like to be able to enjoy a few hours of daylight on your first day in Stepantsminda, you should leave at around 9-10am. 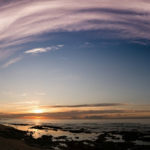 Keep your cameras ready during the trip, as you will pass through regions with stunning, picture-perfect sceneries. The trip takes about 3,5 hours and will take you through the towns of Ananuri and Gudauri along the Georgian Military Road. Ananuri is home to a very beautiful, well-preserved fortress and Gudauri is one of the best ski resorts in the country where you can go speed riding or heli skiing. On this trip we haven’t planned in any time for this, but if you have more time at your hand and are willing to rent a car, these two towns are well worth a trip. 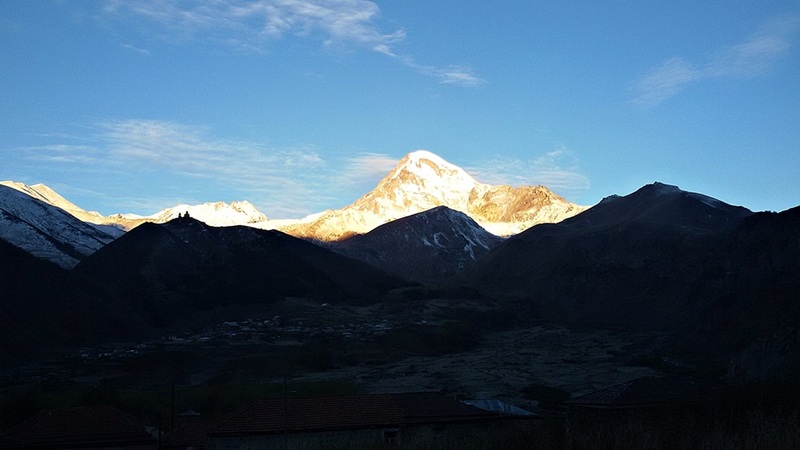 Mount Kazbek in its golden brilliance at the break of dawn. If you left Tbilisi at 10am, you should arrive in Stepantsminda at round 1.30pm. After having sorted out your accommodation and freshened up, as well as having stocked up on provisions at one of the supermarkets that should give you more than enough time to walk up to Gergeti Trinity Church. 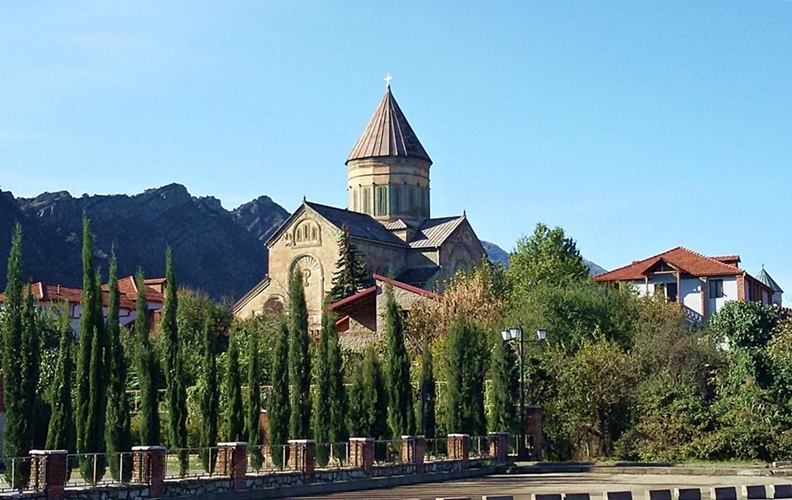 One of the major landmarks of the region, Gergeti Trinity Church is from the 14th century and lies at an elevation of 2170 metres. Duration: 1 hour 15 minutes there; 1 hour back. 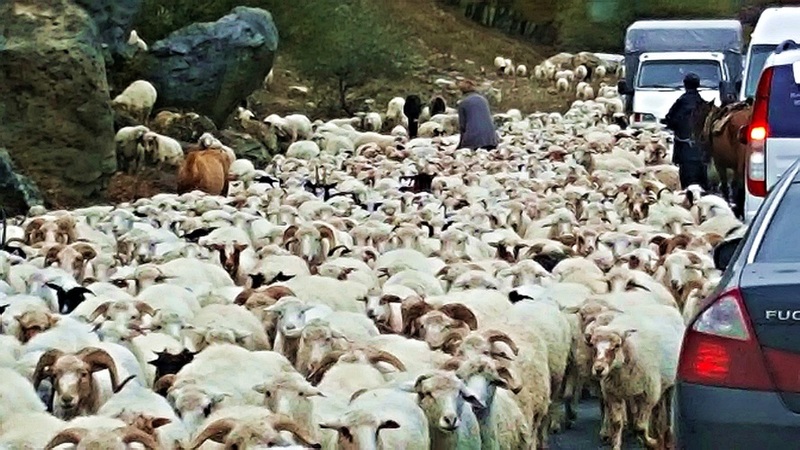 Some sources on the web (including wikipedia) claim that the hike from the town center of Stepantsminda to Gergeti Trinity Church takes about three hours one way. 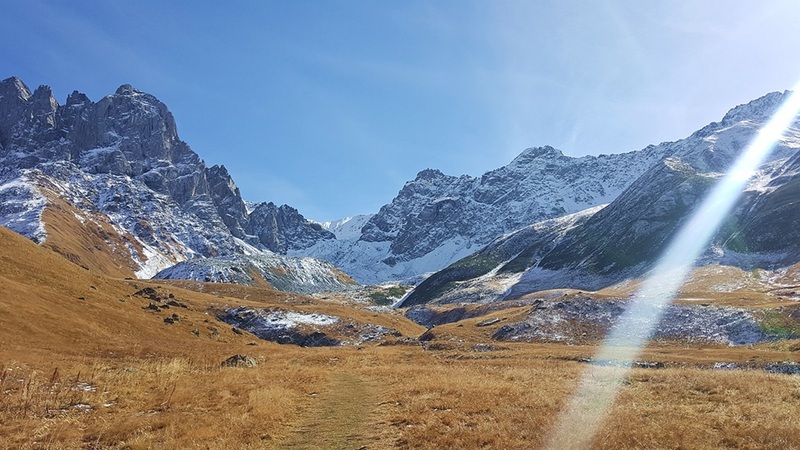 In all earnestness, we are fairly experienced and fit hikers and an hour and fifteen minutes might be unrealistic for inexperienced hikers, but you would have to progress at snail’s speed in order to eat up the huge three hour chunk off your lifetime for this short walk. Directions: Starting from the town center, follow the main road (E117) to the north and cross the Terek river via the main bridge. Turn immediately left and follow the gravel path straight on leading through the rural dwellings of the village. You will pass a fresh spring (see pictures below). At the parting of the ways, keep left and then follow the wide path. 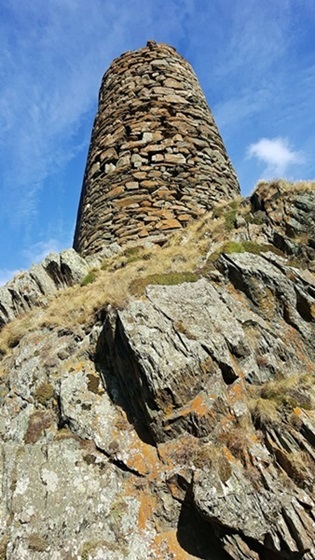 You will eventually get to a beautiful medieval watchtower (see pictures below). The ascent gets much steeper from here. Pass the watchtower and follow the path until you reach a part where the hills become more grassy. You will already be able to see Gergeti Trinity Church up high on your right hand side. Now, if you keep following the path it will probably take you forever to reach the church, as the path most likely takes a wide swing around the steep slope to your right. So leave the path at this point and simply zig-zag your way up the slope cross-country. No worries, it’s really not that hard and there is no way you can get lost, as you will have the church in sight the entire time. As this is the only full day of our stay in Stepantsminda, you should really make the most of it and rise early. The destination of this fairly hard one day hike is the foot of Gergeti Glacier to the East of Mount Kazbek. Don’t forget to bring plenty of water and provisions with you! Elevation Gain: ~ 1500 metres; the foot of the Gergeti Glacier is reached at an elevation of approximately 3230 metres. After all the exertions of the previous day, day 3 is a transition day to rest your aching limbs and to make the transfer from Stepantsminda to Juta. After sorting out your accommodation in Juta, mingle with locals and other travelers at cozy 5th Season Hut or enjoy an hour of relaxing sweat and heat at the Juta Guest House sauna (100 Lari for one hour) to bring your sore muscles back to life (check below for further information on Juta and how to get there). There are no public buses that leave for Juta. You will have to hire a cab at Stepantsminda town center, which should cost you around 40 Lari for the one-way trip. The drive will take less than an hour. Ask the cab driver for his card when you get there. Not only might you be able to secure a discount for the way back in two days, but you might also have a hard time to find a taxi on your day of return, as there are not many cabs around Juta. No worries, the cab driver will gladly come down from Stepantsminda again to pick you up. It’s good business for him. Don’t forget however to calculate in the fifty minutes he will need to get to Juta when you call him to pick you up! 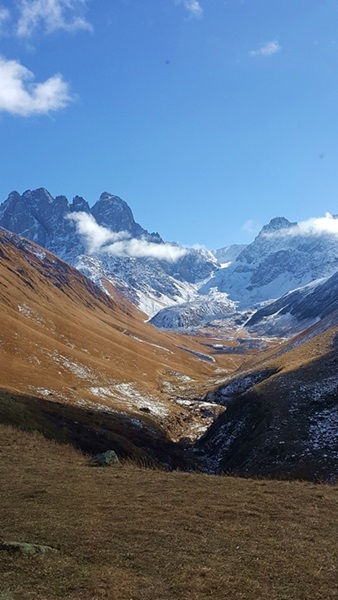 We went to Juta at the end of the month of October, which is virtually the beginning of winter in the mountainous regions of Georgia. 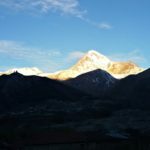 The chance of getting snowed in rises dramatically, particularly in more remote regions like Juta where the dirt roads don’t get cleared by snowploughs and most locals close down their guesthouses and head down to Tbilisi for the winter months. 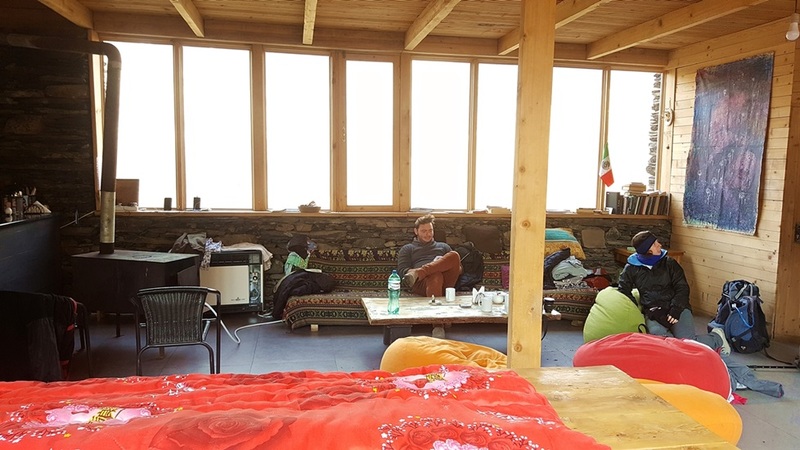 Therefore, when we arrived in Juta most guesthouses had already closed their doors, and we basically had the choice between a cow shed (yes, this was actually offered to us) and the 5th Season Hut. 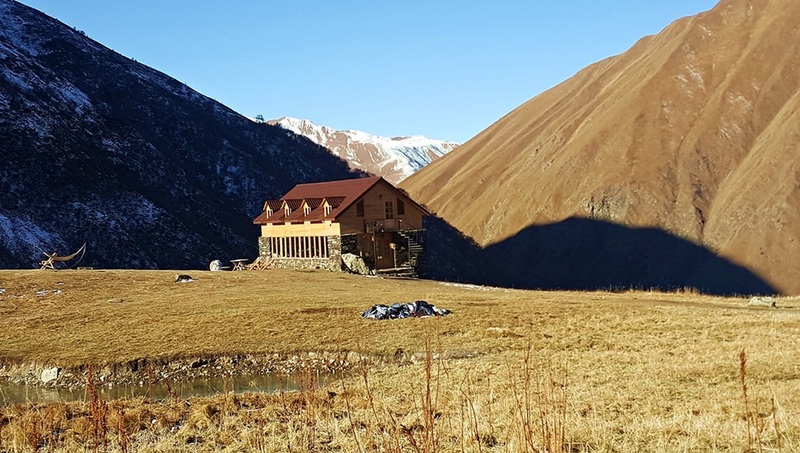 This one-day hike will lead us from the 5th Season Hut in Juta to the ragged seven peaks of the Chaukhi Mountain Massif. 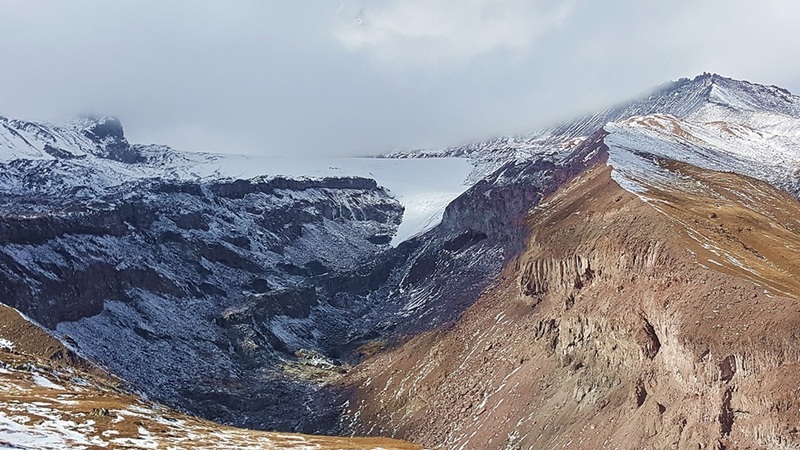 The trek has about the same degree of difficulty as the previous trek to the Gergeti Glacier, maybe even a little less challenging. It should not pose any big problems for intermediate hikers. Elevation Gain: ~ 1140 meters; Juta village lies at an elevation of 2200 meters; you will reach Chaukhi Pass at 3340 meters. Directions: Leave 5th Season Hut heading south/southeast. Stick to the eastern side of river Chaukhistskali, thus leaving the river to your right. After approximately 2-3kms you will have to ford the river, which can prove a bit tricky depending on the current level of the water. However, it’s not too big a problem either. Another 1-2kms later you will reach an artificial lake and a greenish tent, which serves as a makeshift pub. Shortly after you have passed the artificial lake, the trail takes a bend to the east and you basically have to follow the trail eastwards until you get to a very steep climb. From this point onward it’s roughly another 30 minute hike until you reach the Chaukhi pass. 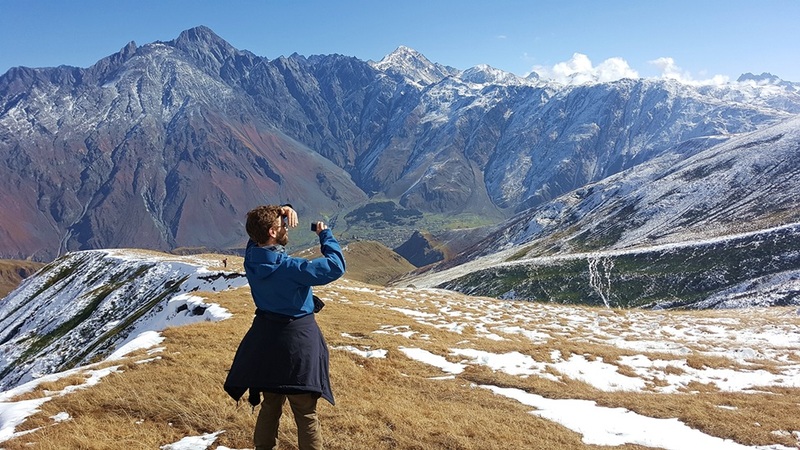 At Chaukhi pass you can enjoy stunning views of the valley that opens towards the southeast and the surrounding mountain ranges. From Chaukhi pass you have options: You can return the same way you came back to Juta right away, which should take you about 3,5 hours. 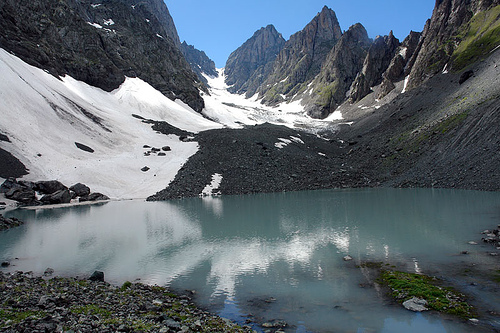 Or if you are an extremely fast hiker you can also carry on southeast towards beautiful Abdelauri Lakes, which you can already see from Chaukhi pass. It will probably take you another hour to reach the mystical Lakes and since the ascent is really steep another 1,5 hours to get back to Chaukhi pass (and then of course you still have to walk the 3,5 hours back to Juta). In good faith we can only recommend this to experienced hikers and if you think you still have enough daylight left to get back to Juta. Of course, if you have more time than the two days that we have planned for Juta Valley, it is also possible to carry on from Chaukhi pass to the village of Roshka (another ~ 4 hours from Chaukhi pass; so it’s possible to get from Juta to Roshka in about 8-9 hours). Bear in mind, however, that there is no public transport in Roshka. So you will definitely have to stay there overnight. 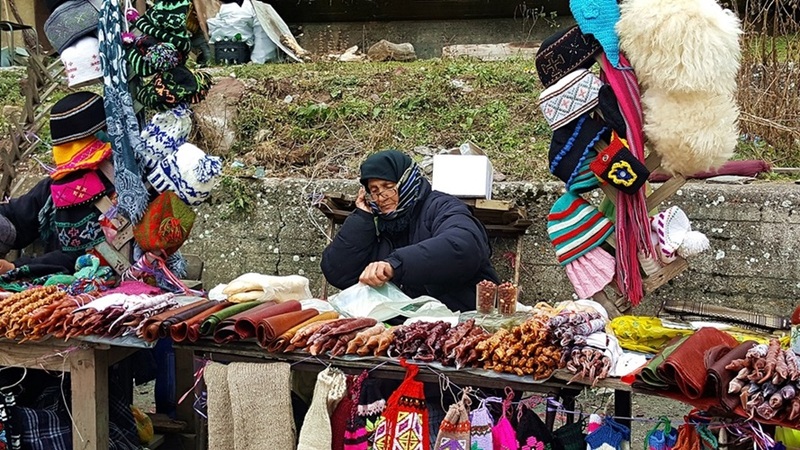 The next day, you will have to ask around in the village for a driver who will take you to nearby Barisakho, where a bus leaves for Tbilisi once daily at 9 in the morning. After a hearty breakfast at 5th Season Hut, Zeta Camping or Juta Guest House head back to Stepantsminda via taxi. Ask the helpful staff at the guesthouse/camp site to help you call the cab before you start breakfast to save you some waiting time. Back in Stepantsminda, you can return to Tbilisi via marshrutka every one to two hours. The last marshrutka leaves Stepantsminda at 5pm. Price is the same as the way there: 10 Lari.